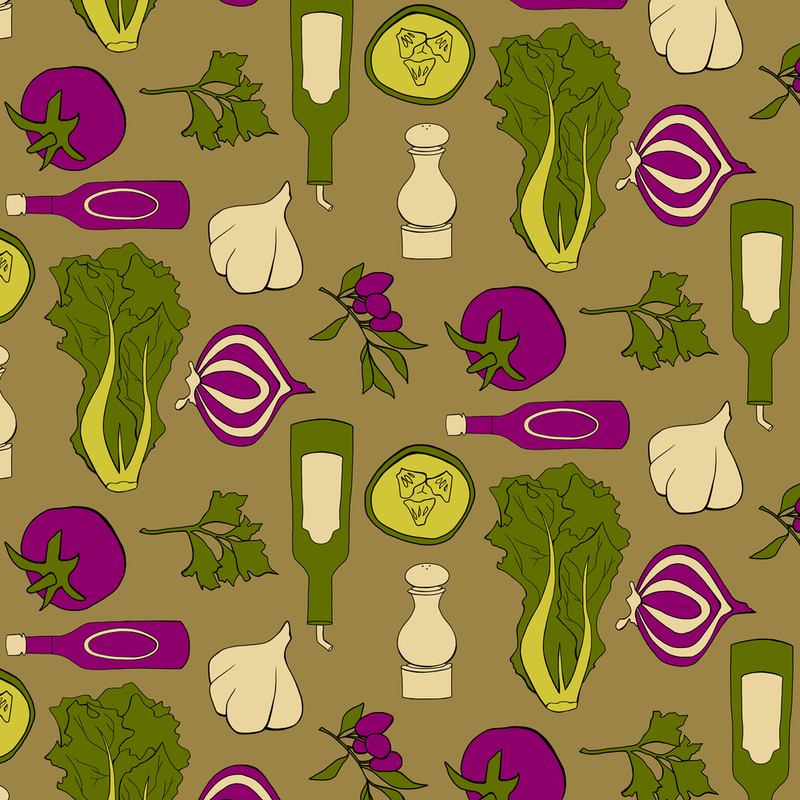 When I was picking a theme for this series of patterns I chose the first thing that came to mind: food. More specifically a greek salad. I'm not one for craving a salad sense I require a little more substance, i.e. a brownie, but for some odd reason it sounded delicious to me. So here is a pattern/recipe for the next time you decide to make a greek salad.